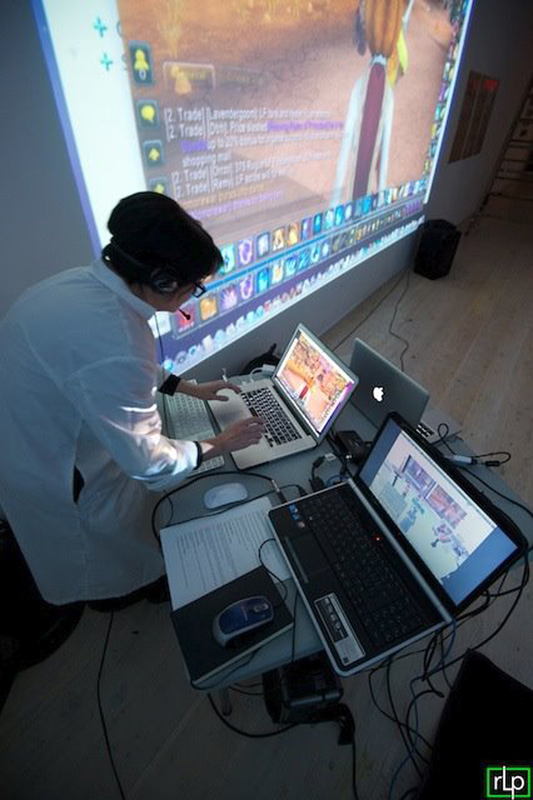 Take Me is a live performance piece involving participation from multiple virtual spaces. It was first presented by Open Space at the OFF LABEL Festival, Victoria, B.C. 2012. 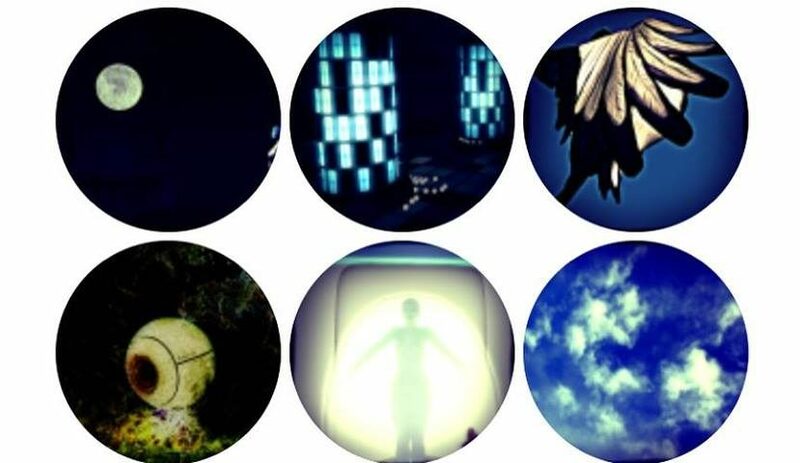 Take Me aims to generate conversations between the live space and multiple online environments (ex. LiveStream, World of Warcraft, Second Life) in an effort to disseminate happiness around the world. The back story: A mad scientist has devoted her career to the pursuit of ultimate human happiness. She pitches a new experimental therapy to audience members and encourages them to participate in a therapy session. 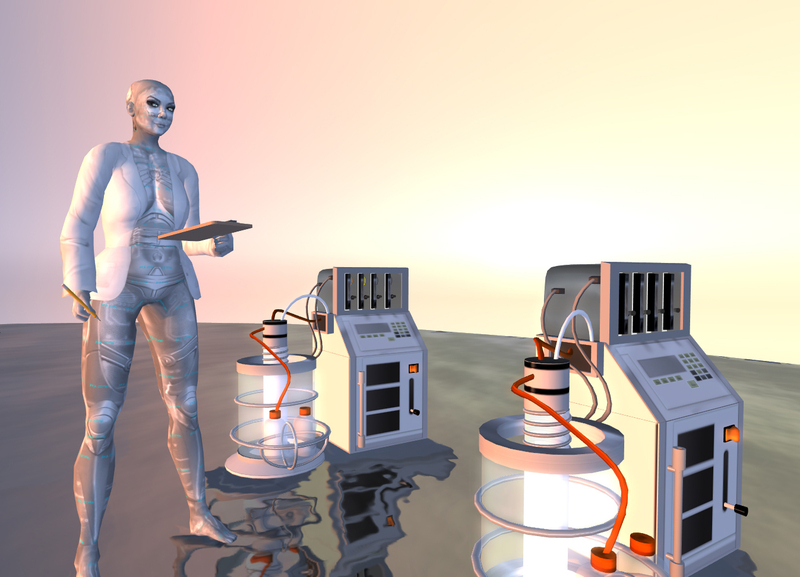 Audience members in all environments are encouraged to act as relays carrying messages of happiness to each other and between different virtual spaces, finding unusual ways to interact with the interfaces and inventing methods to bridge the divides between environments. Using large scale projection, live streaming, the power of suggestion and live audio, Take Me transforms the space, merging the different environments into one jubilant celebration. Avatars WoW and flesh avatar both embody Liz Solo, ‘Mad Scientist’, who orchestrated attendees of Take Me through a trio of culturally implicit worlds interacting at Open Space in Victoria BC during the Off Label Festival. Encouraging happiness, Solo, with the aid of Bibbe Oh/Bibbe Hansen, virtually, led avatars from the Demon Soul server in World of Warcraft and the Odyssey Performance Simulator in Second Life to interact with gallery participants whose video projection became a virtual event in Second Life, along with the projected World of Warcraft scene full of that world’s personas. Solo’s triple platforms extend camaraderie world-wide, hopefully. With a wave from world to world to world, Solo prescribes a miraculous liquid, and all attendees comply… in the gallery and virtually, all consume, and chant an incantation which induces dance, happily. Unobtrusive, Solo’s optimistic presentation stimulated companionable fun and frolic, with a glass of wine – her curative for societal discomfort, estrangement and stress. Mediating virtual interaction with face time, Solo created a kindheartedness that addresses our human needs, both virtually and in real life. We want to be happy with who we are, our own persona in whatever configuration, and need intoxicating laughter with friends, and spiritual boogieing. Because, after all, avatars are human’s hallucinogen, searching for meaning, and we are incarnations of our own imaginings. Solo’s script streams restorative therapy, folk-art. – Deborah Alanna – Debora Alanna is an artist and writer. Photo by RLP Photography. Fortunately for the understandably stressed, negative energy radiating, folks of this early 21st century moment, Dr. Liz Solo performed a 3-world ritual that brought relief and tranquility. In 2 Worlds, War Dance Technology Luna intersects traditional iconography with “high technology.” In Saturday’s performance of Take Me Solo marshaled a panoply of new technologies, ultimately to offer to her patients that Laughter, a glass of wine, and good company, are a powerful cure for contemporary alienation and frustration. Dr. Solo was assisted by long-time Odyssey participant, nurse Bibbe Oh/Bibbe Hansen (yes, it’s true, Al Hansen’s daughter, Beck’s mom, Andy Warhol’s youngest star, Edie Sedgewick’s co-star, Bibbe Hansen, can occasionally be found passing out pills to the ailing patrons of the Odyssey Performance Simulator). As her contribution to the Off Label Festival’s The Art of the Placebo, Dr. Liz Solo offered a cure for contemporary malaise. Like those video pioneers of yore who united multiple physical world locations with multiple video feeds and projections, Solo united multiple mixed-reality spaces via video feeds & projections. At the end of this rabbit hole of technology Dr. Solo’s simple “placebo” prescription was essentially to “Eat, Drink & Be Merry.” From outward signs the prescription seemed to work. – Xue Faith – Xue is an independent curator based in the UK. Photo by Xue Faith.